Ex-Nintendo Indie Game Chief Dan Adelman has announced his first project as an indie freelance consultant. 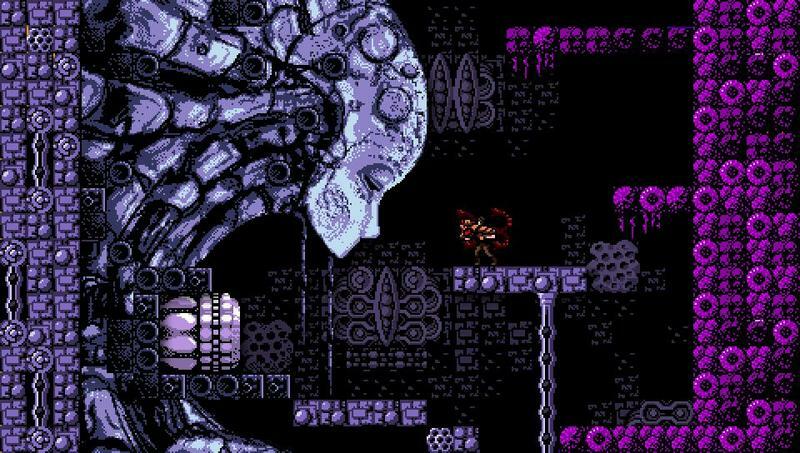 After his high profile departure from his former employer of ten years, he flies into the comfortable arms of Sony by throwing his weight and knowledge of the indie market behind the PlayStation 4 and PS Vita bound "metroidvania" game, Axiom Verge. Adelman explained his attachment to the game in an update on his blog, and he wasn't shy about showering praise all over it. Axiom Verge is a one-man project under development by Tom Happ, the sole artist, designer, programmer and musician since he began development in 2010. Combining a classic retro style from both the 8-bit and 16-bit generations with a vast world and over 60 items to uncover, the game has picked up a lot of steam on the indie gaming scene. Adelman himself said he only intended to sit down with the game for an hour to see what Happ had in mind, but it was so good, he had to push through to the end. "The things that grabbed me most were how tight and responsive the controls were and how well-designed the different rooms are. There are a ton of hidden areas to explore, and it's possible to plan your attack through the areas so that it's much more than just a run and gun shooter." It was originally scheduled for an Xbox 360 and PC release in 2013, but Happ's contracts with Sony has not allowed further announcements on official ports. The PlayStation 4 and PS Vita versions will be released in spring 2015, and the Steam version is still expected for release. No official date has been set. With an experienced consultant like Adelman behind it, it is sure to be a hit, and Sony has scored another reason to call itself the best friend of the indie gaming scene.